The Nikon D810 is here to fill some big shoes. 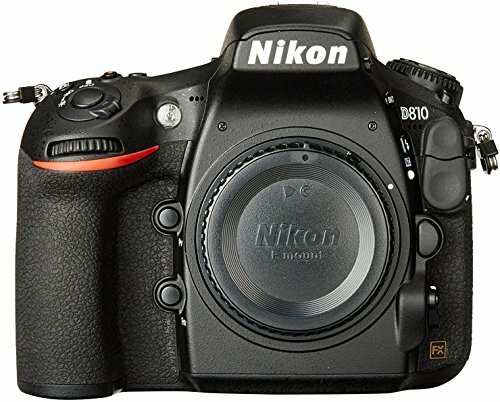 It replaces the much loved D800 and D800E. This pro camera takes the best of both models to offer greater pixel resolution. The Nikon D810 is here to fill some big shoes. It replaces the much loved D800 and D800E. This pro camera takes the best of both models to offer greater pixel resolution. Nikon D810 comes with other features like a wider sensitivity range, more capable video capture and more exceptional performance. 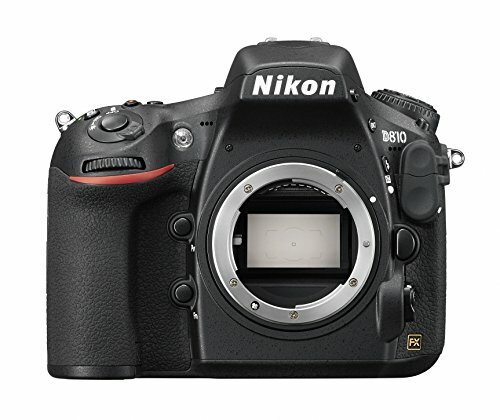 Nikon D810 share a lot of features with its predecessor, Nikon D800 but it has additional features. It comes with a refined 36.3-megapixel image sensor. This professional comes with next generation EXPEED 4 image processor. The Nikon D810 beats its predecessors for its sensitivity both at the bottom and top of the range. 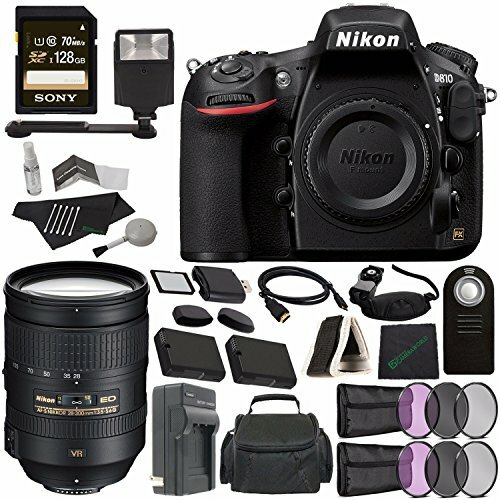 It is a stand-alone pro DSLR to beat the competition. Nikon D810 comes with a new EXPEED 4 processor which allows you take one frame per second. Its burst performance has significant improvements to a maximum of five frames per second at full resolution. This professional DSLR shoots 7fps with a DX-format crop. You don’t have to worry about battery life. 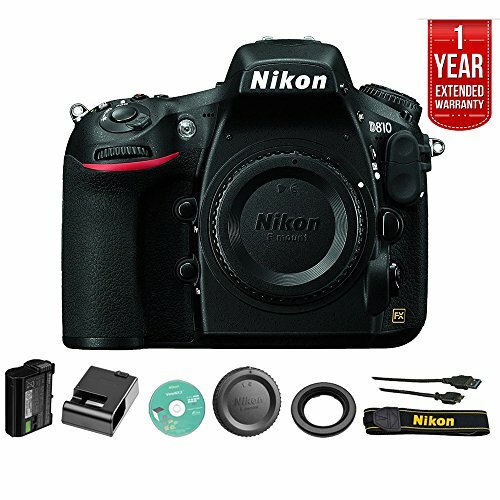 The Nikon D810 comes with optional MB-D12 Multi-Power Battery Pack. This pro camera comes with a new mirror sequencer unit. Nikon D810 is made to offer better control vibration. Its rear panel LCD display now has four dots for each pixel. You are allowed either a brighter better visible display to shoot outdoors. Or, save power when shooting in lower ambient light. The pentaprism viewfinder is upgraded with a new prism coating. Now you can enjoy better clarity along with a brighter LCD display which is easy to read. Nikon D810 has a new body. It comes with a deeper and comfortable hand grip with some minor tweaks on the controls. The Live View and mirror lockup modes have been improved as well. They can now use a new electronic first-curtain shutter function. Nikon D810 also has a new highlight-weighted exposure metering option. You get to enjoy a new picture control called ‘Flat’. It is aimed at professional photographers who need to color grade and match output from different cameras. This pro DSLR comes with a Quiet Continuous mode to the Drive Mode dial. You can get a burst of photos more quietly than when in standard continuous mode. It makes Nikon D810 the ideal camera when capturing sound sensitive subjects. This pro camera works well when snapping skittish wildlife, press conferences or live performances. Videographers get plenty of love from this DSLR pro camera. Nikon D810 has a lot of features which make a video capturing a breeze. You record videos to the camera’s memory cards. Nikon D810 also allows outputting uncompressed HDMI capture with an external device. You use the camera’s Power Aperture function as the Nikon D810 records to memory cards. 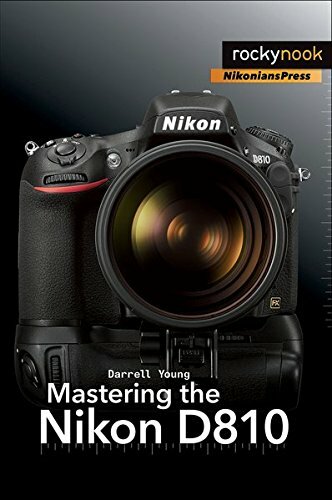 The Nikon D810 is one of the best-rounded DSLRs we've ever tested, and as a camera that we've lived and worked with for almost two years, we're confident that it will remain relevant - and useful - for many years to come. The D810 offers medium format-esque dynamic range at ISO 64, and more than enough resolution for almost any application. Its well thought-out ergonomics, build and speed make it as versatile in the field as in the studio. We do have some reservations - mirror and shutter shock can still be an issue in some situations, particularly in combination with VR lenses, and we wish focus was more reliable in low light - but these do not detract unduly from the quality of the total package.